The m/s Paul Gauguin was designed specifically to sail the shallow seas of Tahiti and French Polynesia, visiting small ports that larger ships can’t reach and effortlessly blending into the stunning natural beauty of the South Seas. Owned by Pacific Beachcomber S.C., the leader in French Polynesia luxury destination resorts, Paul Gauguin Cruises operates the award-winning luxury cruise ship m/s Paul Gauguin, providing a luxury cruise experience tailored to the unparalleled wonders of Tahiti, French Polynesia and the South Pacific. A second small luxury ship, the m/vTere Moana, is scheduled to begin sailing under the Paul Gauguin Cruises banner in December 2012. Call our Cruise experts for exclusive Silversea Cruise offers and special amenities that are only available by booking your cruise with Roblin Travel Service Ltd.
Silversea Cruises presents sumptuous ocean-view suites, all with butler service. Distinctive European styling reflected in every detail. The convivial ambience of intimate lounges and open bars. Yet with some of the highest space ratios at sea, our small ships boast a bountiful supply of embellishments, from a choice of restaurants to show lounges, health spas and full-equipped gyms. See all cruise options here. Teak-lined decks. Towering white sails. A voyage on a Windstar luxury cruise feels like your own private yacht — luxurious amenities, gourmet cuisine, exceptional service and the world’s most exotic and unique ports of call. Sail to the Greek Isles, Italy, Europe or warm waters of the Caribbean or Costa Rica. With less than 320 guests on board you’ll quickly discover a genuine freedom to escape and explore as you want, when you want. You’ll love this journey as much as the destination! Regent Seven Seas Cruises, with headquarters in Miami, is owned by Prestige Cruise Holdings, the market leader in the Upper Premium and Luxury segments of the cruise industry with over 6,400 berths between the Regent Seven Seas Cruises and Oceania Cruises brands. Avalon Choice® Cruising, Customized to You. Designed with the only opinion that matters: yours. 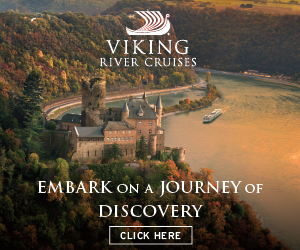 An entirely new concept in river cruising. We didn’t just design our cruises with you in mind. We developed them for you to design. At every turn, you’ll enjoy the luxury of choice — something you’ll only find with Avalon Choice® cruising. From deciding what and where you eat. To selecting your room configuration and cruising style. From choosing your on-land discoveries and onboard enrichments, to making online, pre-sail customizations via MyAvalonSM. Every experience and every nuance — is yours. Boutique hotel designers often invest considerable time, thought, and resources in creating destination-specific interior decor for their properties, and in choosing amenities that will assure an intimate, elegant yet relaxed experience for their guests. This same care and attention is apparent on each of Uniworld’s company-owned boutique ships. In the last few years, Uniworld has introduced stunning new ships to its fleet and has completely remodeled its existing ships so that all company-owned ships meet the highest standards of comfort and style. No matter the ship, Uniworld’s guests can travel from one exciting destination to the next with access to inviting lounges, cozy libraries, panoramic restaurants offering sumptuous cuisine, and luxurious riverview staterooms. AmaWaterways was founded in 2002 by Rudi Schreiner, Kristin Karst and Jimmy Murphy. All Three brought tremendous experience, knowledge and dedication to the venture. Rudi was one of river cruising’s pioneers, having introduced the modern-day river cruise concept to the market. Kristin brought with her vast sales and customer service experience. And Jimmy Murphy is the founder and former owner of Brendan Vacations. Their combined expertise and passion for the river cruise business results in a river cruise vacation experience that will exceed expectations. With more than 20 different itineraries to choose from, the river cruise vacation of a lifetime awaits with AmaWaterways! Ready To Book Your Next Boutique Cruise?